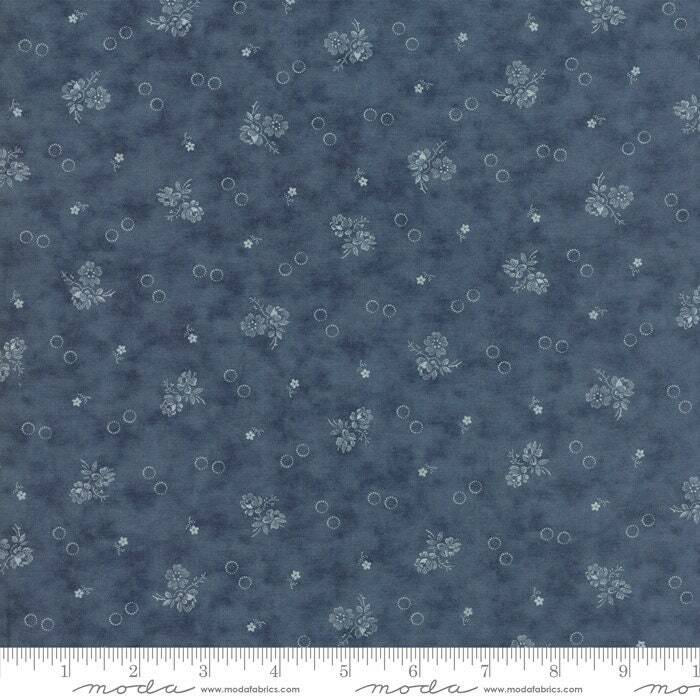 Portsmouth Blue 14862 15 by Minick and Simpson for Moda Fabrics. Red, white, blue, dark blue, and tan round out this collection of Americana-inspired prints. international quilters...be advised...shipping is set high to cover the various countries and varying shipping fees...HOWEVER, after shipment...shipping overage will be refunded. This is a real pretty shade of blue. Perfect for my upcoming projects. Thank you for the quick shipping. Very easy shop to work with.